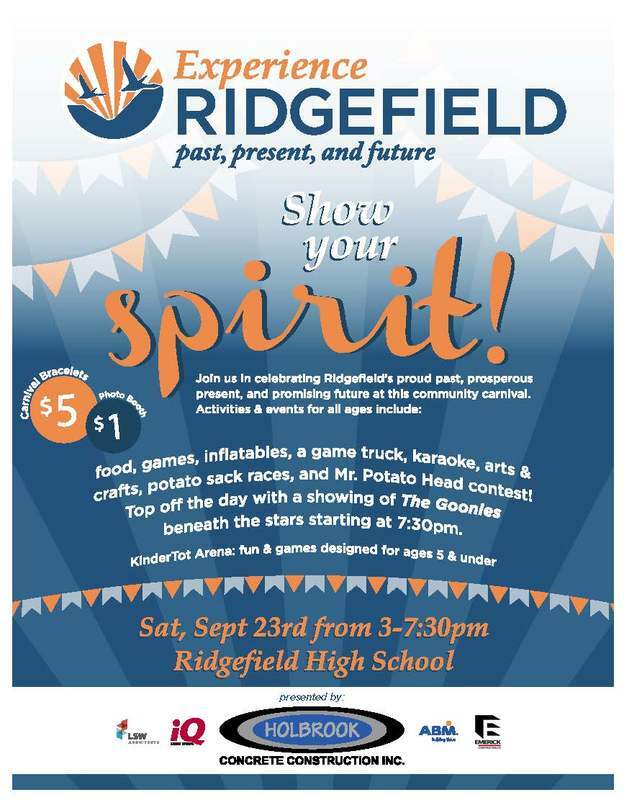 Get ready for some old-fashioned, small-town fun as the Ridgefield School District prepares to host its second Experience Ridgefield event on Saturday, September 23. The community carnival, set to take place at Ridgefield High School from 3:00 – 7:30 pm, celebrates Ridgefield's proud past, prosperous present, and promising future. In addition to all the food, music, and fun, the Ridgefield Family Resource Center (RFRC) will be sponsoring a "Stuff the Van" campaign to collect personal hygiene items, non-perishable food, and new coats for the center. In the evening, families can enjoy a showing of “The Goonies” under the stars at the district’s football stadium. 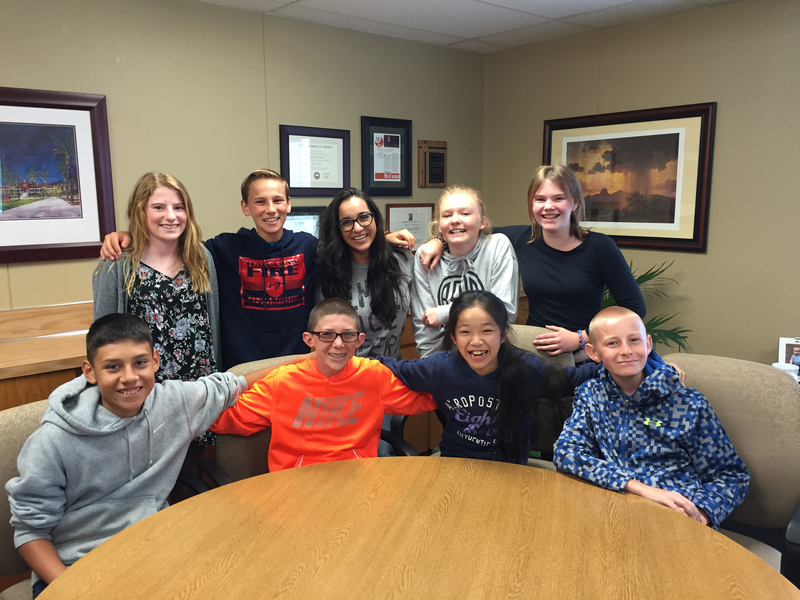 Experience Ridgefield was born from a concept developed by the Superintendent’s Student Advisory Council (SSAC) consisting of twelve students--each representing one of the district’s four schools who meet monthly with Superintendent Nathan McCann to provide the district with advice and feedback. The group also completes a project each year that contributes to the betterment of the community. The event, launched last year, was a phenomenal success. The students’ efforts in marketing and promotion brought in more than 40 vendors and lead sponsorship by Holbrook Concrete Construction Inc. with assistance from The Historic Sportsman’s Steakhouse and Saloon. This will be the district’s second year hosting Experience Ridgefield. It is thankful to Holbrook Concrete Construction Inc. for once again being this year’s lead sponsor.